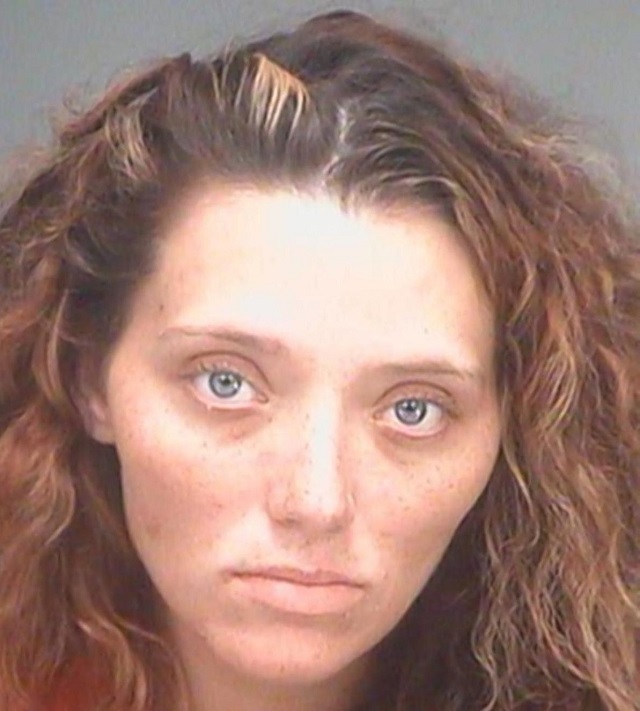 PINELLAS COUNTY, Florida — A Florida Woman was arrested for allegedly smoking crack while giving birth and leaving the newborn baby in the back yard of a home in Clearwater, Florida. 24-year-old Katrina Kegelman gave birth on the back patio and then hid the baby in the back yard. After a friend noticed blood on her pants, she asked Kegelman where the baby was. Kegelman then alledgedly asked her friend not to call 911. However, 911 was called and when fire rescue crews arrived, Kegelman initially did not reveal the location of the baby but ultimately pointed to the back yard. The baby was found still alive and transported to a local hospital along with the mother. Kegelman alledgedly told police that she knew she had given birth but was afraid of being arrested because she had just smoked crack before giving birth. Kegelman was then arrested and charged with child neglect. According to Pinellas County Jail records, Kegelman was booked into the jail just after 6 p.m. on Wednesday and released on a $5,000 bond at 2:30 a.m. on Thursday morning.